Achieving gender equality and women’s empowerment is a process that requires multidimensional efforts, including tackling social norms and cultural practices that fuel inequality. In Afghanistan, youth and religious leaders - also called Mullahs - have teamed up with UN Volunteers and formed national volunteer caravans to spread messages of gender equality and women’s rights to rural communities. Group discussions among religious leaders, civil society organizations, UN Volunteers and government officials about practical approaches of women’s access to health cares, education and economic empowerment in Mazar province, Afghanistan. UN Volunteers and other volunteers are advancing gender issues and impacting on women's lives in rural and urban settings. In line with Sustainable Development Goal 5, they are volunteering to safeguard the basic rights of women and girls, achieve gender equality and the empowerment of women and girls, counter deeply rooted gender-based discrimination, and avail opportunities for women and girls to learn, engage and lead. In Afghanistan, Mullahs, together with UNV, are challenging gender roles, notions of gender equality and masculinity, to empower women and girls across the provinces of Herat and Balkh. In partnership with the Ministry of Hajj and Religious Affairs, the Ministry of Women Affairs, the Deputy Ministry of Information and Culture, and the United Nations Development Programme (UNDP), UNV brings Mullahs and local youth together to form these travelling volunteer caravans. 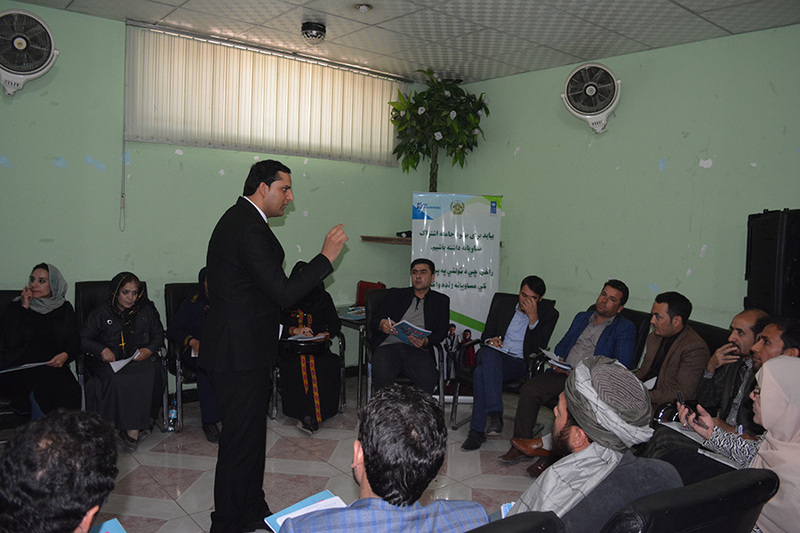 Through these Youth-Mullah Gender Volunteer Caravans, young Afghan men and women are crafting campaigns and visiting communities in Herat and Balkh provinces to spread their messages of gender equality. With the support of Mullahs, these travelling advocacy groups organise community engagement activities that discuss the need for women’s economic empowerment, women’s access to education and healthcare, elimination of violence against women, and the role of volunteerism in shaping active communities. By creating community dialogue, grounding ownership of the problem and challenging misconceptions embedded within the communities, the Caravans are shaping new narratives for gender equality in Afghanistan. Six UN Volunteers are leading this project implemented under UNDP’s Enhancing Gender Equality and Mainstreaming in Afghanistan (EGEMA), which aims to strengthen the Ministry of Women Affairs to implement, monitor and report on national and international commitments that affect women. The UN Volunteers work with eighteen Team Leaders and 40 Caravan Members to organize activities based on a manual that describes the principles of gender equality and volunteerism as well as providing guidance for effective advocacy and communications. Soomaya coordinates and supervises activities of the Caravans while building close relationships with government officials, civil society organizations, and non-governmental organizations at the provincial level. She works closely with Team Leaders and Caravan Members such as Fraidoon. “By organizing 20 Masjid Campaigns[mosque campaigns] for women’s rights advocacy with local Mullahs, many of the communities’ elders became aware of women’s rights and their respective roles in ensuring women’s rights everywhere. I learned that Mullahs, who are the influential figures within communities, could very effectively use Islam to spread these messages in communities,” says Fraidoon, a local youth volunteer who joined the Caravan in Balkh province. As of November 2017, eight trainings and 20 Masjid Ending Violence Against Women Campaigns have been organized. The teams have also created murals on gender equality and women rights in public locations in both Herat and Balkh provinces, taking creative approaches to make people realize and comprehend the importance of gender equality in the communities.